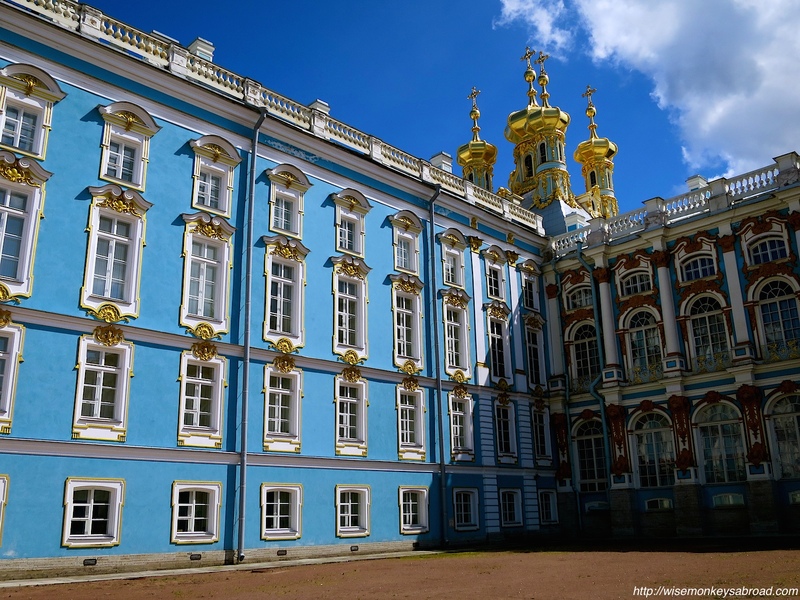 Catherine the Great in the 18th Century wanted a summer residence hence the construction of what is now known as Catherine Palace: the summer residence for Russian Tsars. 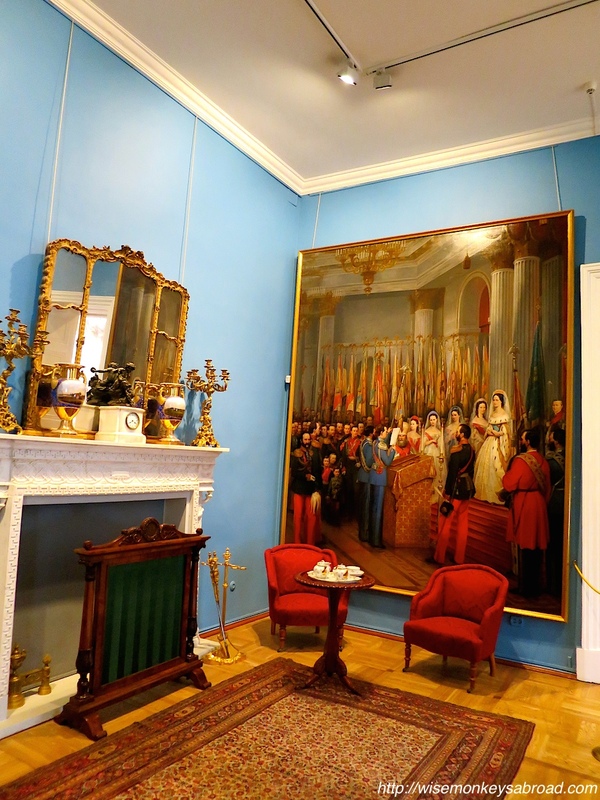 What we see today is a restoration of the original as during World War II, the Germans destroyed the palace. 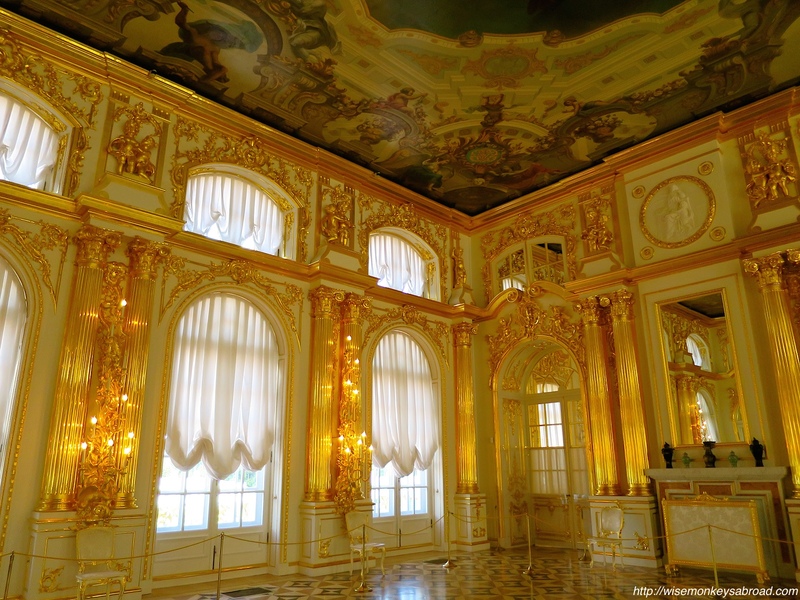 One of the most famous rooms is the amber room (the one room where photography is NOT allowed). This room was looted by Nazi Germany during the war and there were attempts to locate it whereabouts but it was never found. 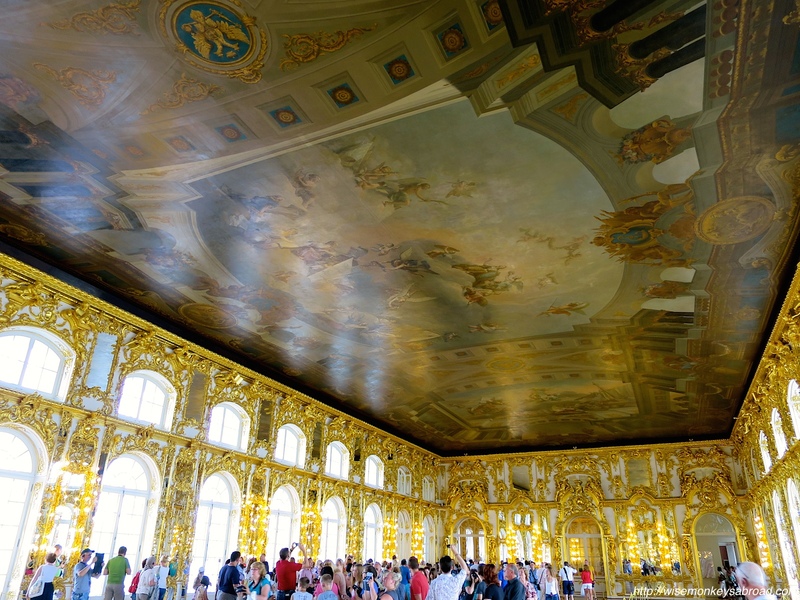 The room now has been restored to its original appearance, believed to have cost 11 million Euros. The palace is so extravagant; it appeared that no expense was spared. 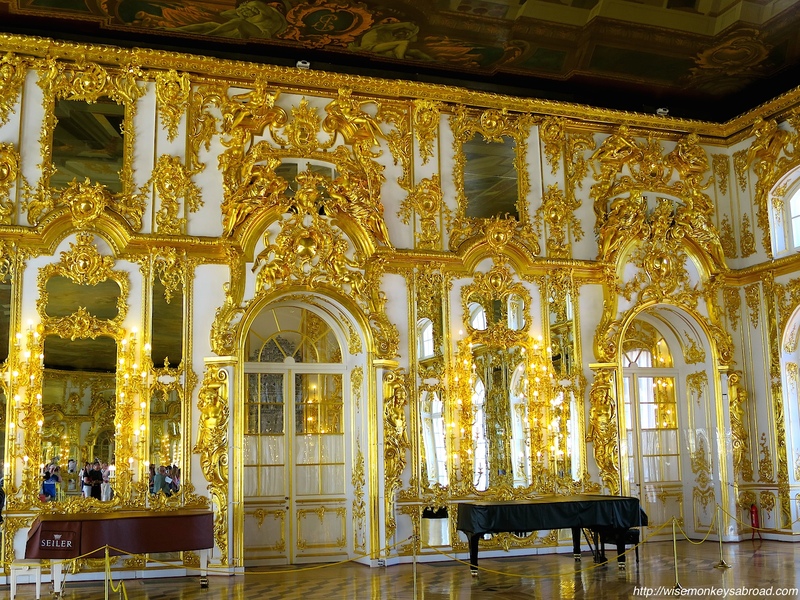 It is reported that over 100 kgs of gold was used to gild the exterior. 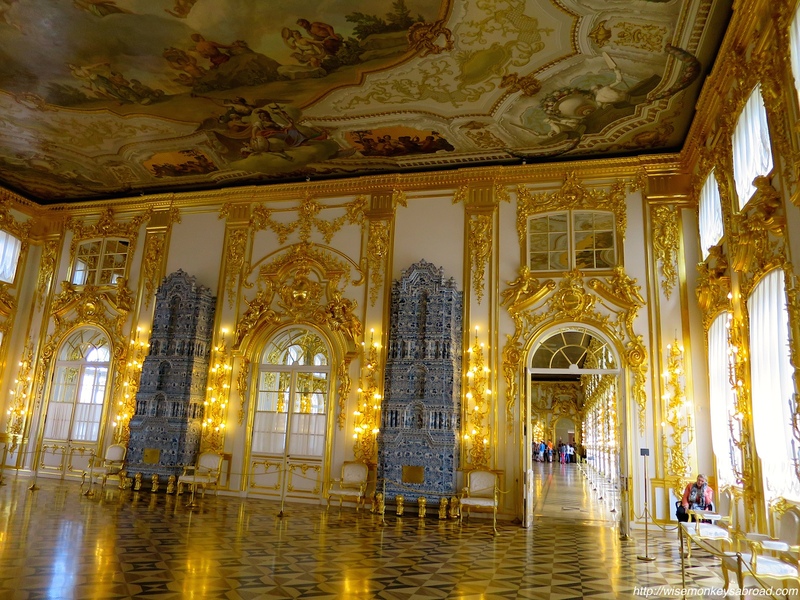 And internally the ornate wall carvings and ceiling are gilded in gold, while some of the rooms, the walls are covered in either silk, mirrors and/or oil paintings. Even the ceilings are not forgotten, of course. Look up and it is very highly likely that it would be beautifully painted. 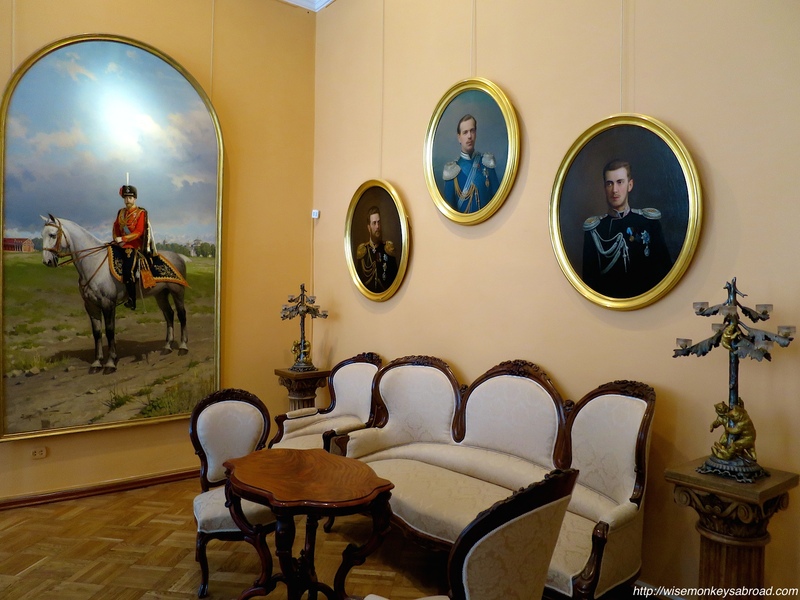 Each room we enter seems more grand then the next. 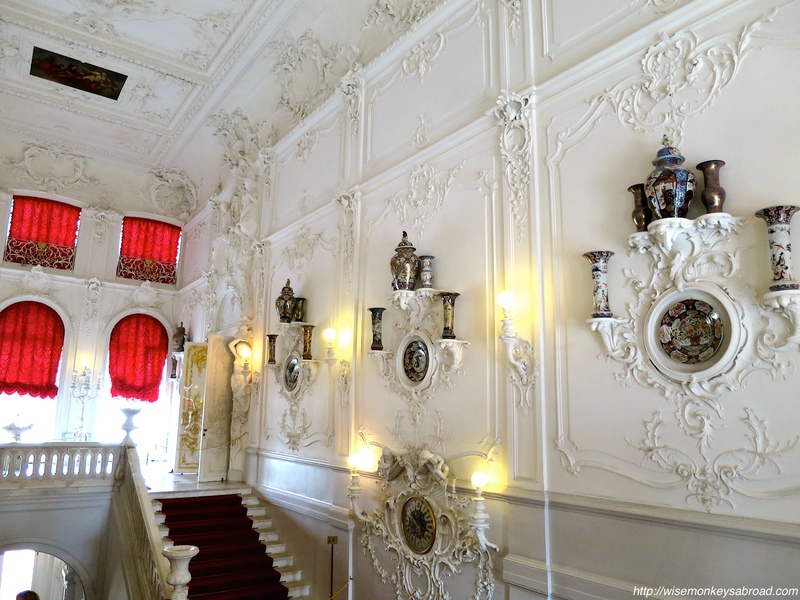 There is just no way to notice all the detail of every room. Upon reaching the ballroom, we admit that for a second we are swept back a few hundred years and picture ourselves waltzing…. Ok, so we didn’t picture the waltzing part, we actually did a 20-second waltz, but when you see the ballroom, you will understand why! 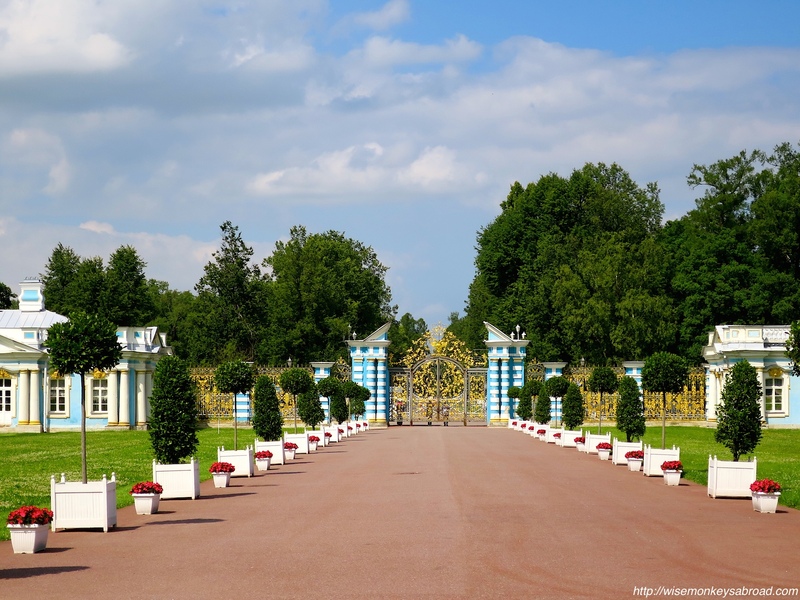 The gardens of Catherine Palace were not as impressive as that of Peterhof Palace. 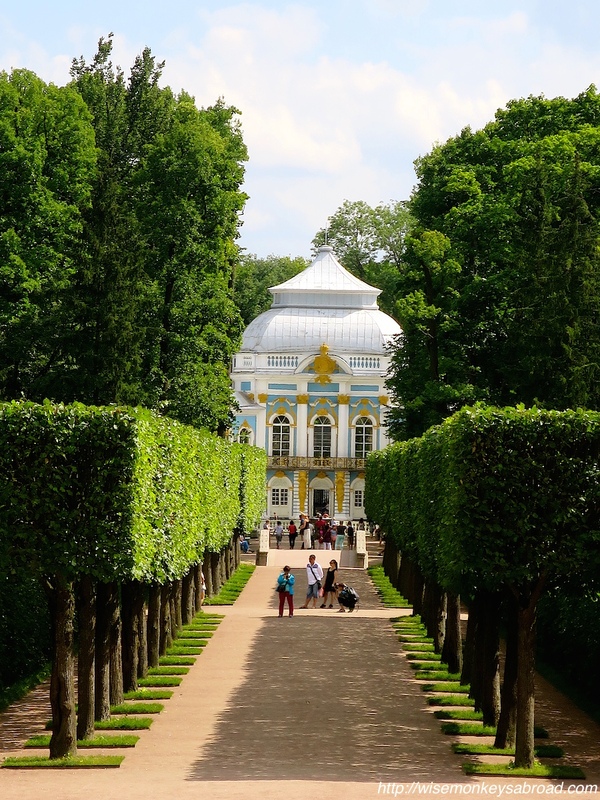 Interestingly, while Peterhof Palace was full of fountains, Catherine Palace did not have a single one. 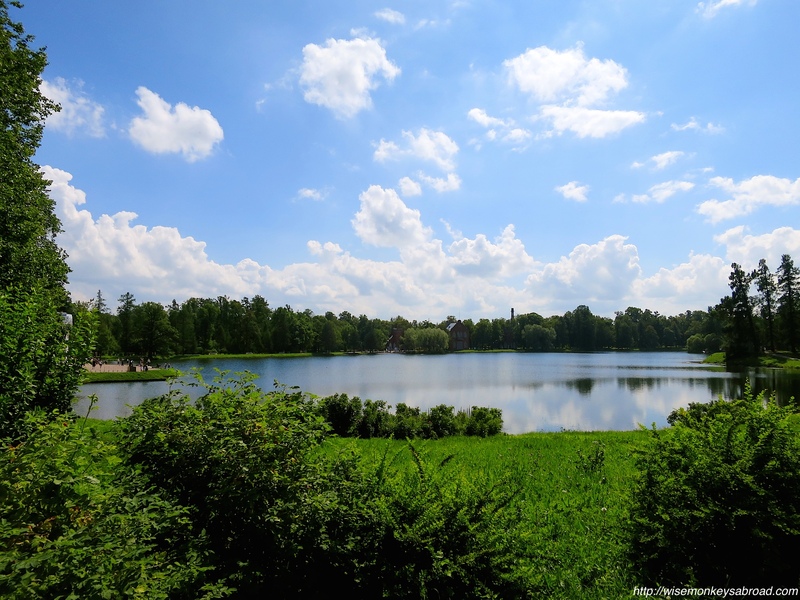 Catherine did not care for fountains so preferred to have a lake instead. 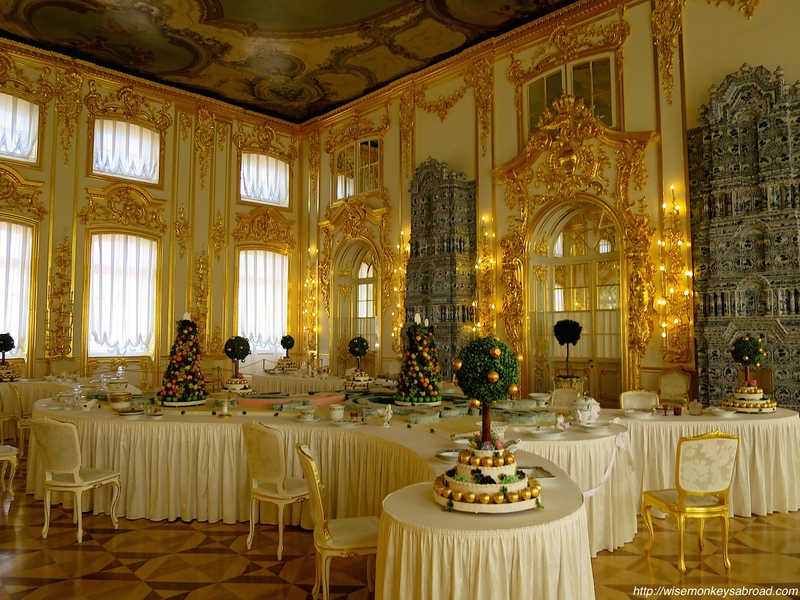 After one week in Russia, we have been awestruck by the lavish lifestyle that were had by the Emperors and Empresses. 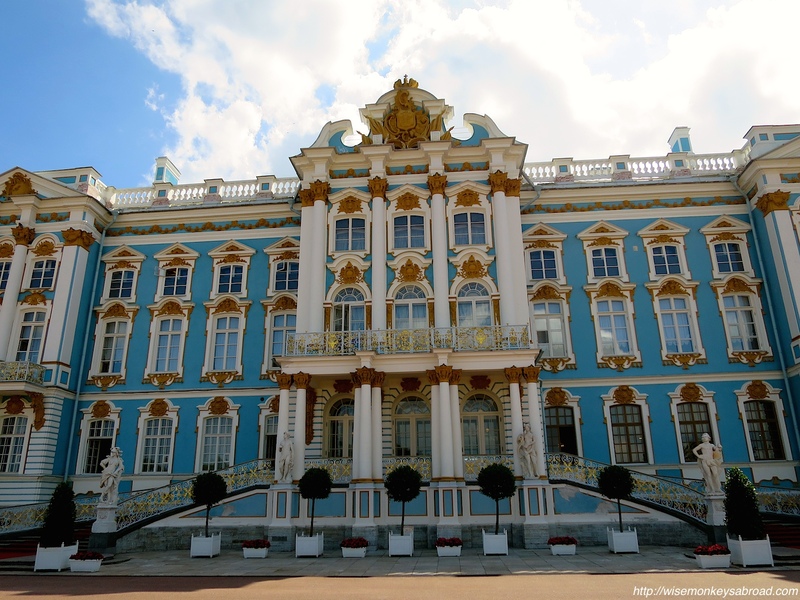 This entry was posted in Europe, Russia and tagged amber, Catherine Palace, Catherine the Great, gold, palace, Peterhof Palace, Photography, restoration, Russia, St Petersburg, summer residence, the summer residence, Travel, Tsar.